Hiya, it's me again. 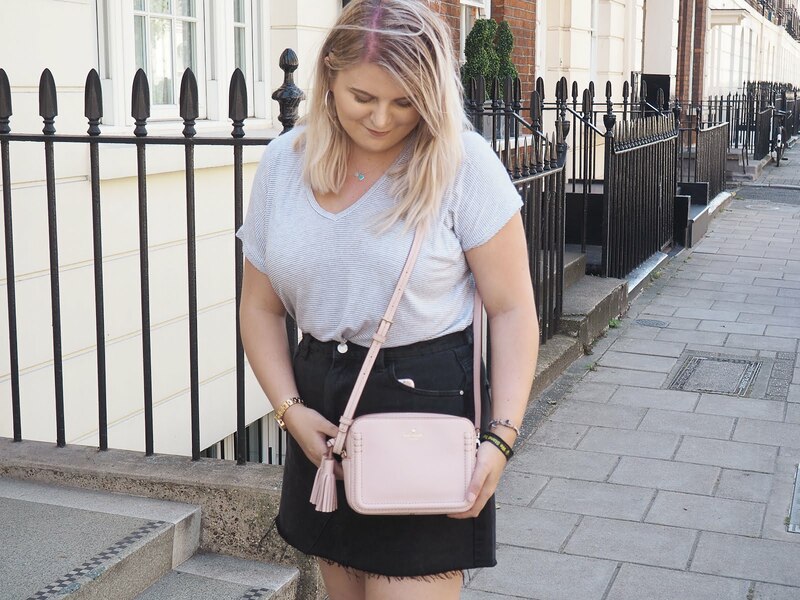 I feel untouchable at the moment because I'm on an absolute blogging roll, let's see how long this lasts eh? So like, holiday season is coming up as I'm sure you're all aware and for the first time in 2? 3? years I'm GOING ON HOLIDAY. In celebration of me going away in precisely two months time I wanted to put together a lil somethin' somethin' 'cos I'm dead excited, if you can't tell. Like screw the fact it's my 21st next month, just get me on a plane and out of this country as soon as please. No offence England, you're cool and all but I'm sick of seeing the same places, we need a break from each other. Without further ado, here's a list of the ten things that make me super happy on holiday! 1. Duty Free. Need I say more? 2. Everyone knowing you've just arrived to the resort. Because you're looking like Caspar the Friendly Ghost for approx. 10 minutes until you go a lovely shade of beetroot. 3. The breakfast buffet. There's no such thing as calories or too many carbs on holiday, pass me the croissants. 4. Lemon Fanta. You can only seem to get it abroad, and even if they do sell it here, it tastes better on holiday - am I right? 5. Getting a tan, duh. You can instantly fool everyone into thinking you've spent two weeks in the Maldives... But probably not because you'll be Instagramming your surroundings every 5 mins. 6. Summer Clothes. Finally being able to wear the bargain jumpsuit you got in last year's sale before putting it away for another year. 7. Being make up free. Unless you're super organised (or rich) and have darker shades of every face product you own, the only make up you'll be doing on holiday is your contour and your brows. Heaven. 8. Coconut scented everything. Coconut conditioner, Coconut body butter. The smell of coconut and cocoa butter literally scream holiday at me. 9. Swimming. The only time I am willing to exercise, and by that I mean doing a few laps of the pool whilst catching a fab tan. 10. Late night kebabs. There's nothing better than walking round Hisaronu (where I'm going) late at night with a chicken kebab in hand, damn they're good. Whilst writing this, I realised there are a lot of things I find irritating about being on holiday, ironically. But it's all good, because that means I can do another post about the things that get on my nerves so stay tuned for that! What are the things that you look forward to when going on your hols? I am going away soon too and I am so excited! I live for the coconut dreamy scent of holidays, but unfortunately I don't tan! But it will be great to get away and relax! This all sounds so lovely! I've never been on a holiday anywhere warm before! YESSSS we can wear something new HAHAHA! Exciting post! Please check out my latest lookbook challenge. I am so with you on the coconut scented everything!! I'm so happy for you going on holiday - you'll have an AMAZING time! Firstly, your header is just the most adorable thing I have ever seen. Secondly, I was literally sitting nodding my head in agreement with every single one of these! Lemon Fanta is the ultimate holiday drink. Just the thought of it gets me in a good mood! And there is little better than coconut scented hair products and lotions when you're in the sunshine. Thank you hehe, I'm so obsessed with my header! Oh how you make me want to travel and go on a holiday for the summer. Whereas I'm stuck in UK. But these points you have mentioned are so correct! haha this post made me so happy! i cant wait to go away on vacation ! Well those nail polishes look super pretty, especially that pale blue. I totally agree about Lemon Fanta! I'm also the same way about Orange Fanta, they both taste way better in the crazy heat than in the rainy UK haha. I love getting to go bare-faced during the day, although I do add a bit more to my face at the evening time. And YES for summer clothing. It's so good getting to wear a pair of shorts, finally! I totally agree - they're so refreshing. I tend to just stick to the lemon one now (or Fanta Fruit Twist) as the orange one sent me hyper when I was younger haha! I agree with pretty much all of these! I'm off on holiday in two week's time so I have all of this to look forward to as well! Coconut is my absolute favourite thing ever! I love it so much! Eeeeeek Kat this has also made me so so excited to go on holiday! I cannot wait! Complete agree with your makeup free point, eating a kebab at night and coconut smelling things! Such a fab read lovely ! Love the nail varnish colours! Where is Hisaronu? Cyprus is an amazing destination for summer holidays! We have lovely beaches and great nightlife here, I started going to the beach a week ago but the weather is still a little bit cold! I am travelling to Greece in two months (again) and I could not be more excited!!! I've just been to Venice myself and most of your favourites applied to me there! You've got me excited to start thinking about planning my next holiday away now though :P I want some sunshine and a pool next! hehe. Breakfast buffets on holidays just get me really excited, even if they are kinda bad, it is always the build up to it which I love and trying some new food.